WordPress has provided the theme of “The World Through Your Eyes” for their weekly photographic challenge. As I am wrapping up my Peruvian stay, I feel like I need a drink. This picture was taken during a city culinary tour that I attended with my lovely wife. In no way have I been compensated by this outfit, but if you ever find yourself in Lima and want an excellent view of the city, please (please) contact these folks over at Capital Culinara. At this particular restaurant stop in the afternoon – in addition to creating our own ceviche – we also sampled two different types of pisco, an alcohol derived from grapes that is native to Peru and Chile. 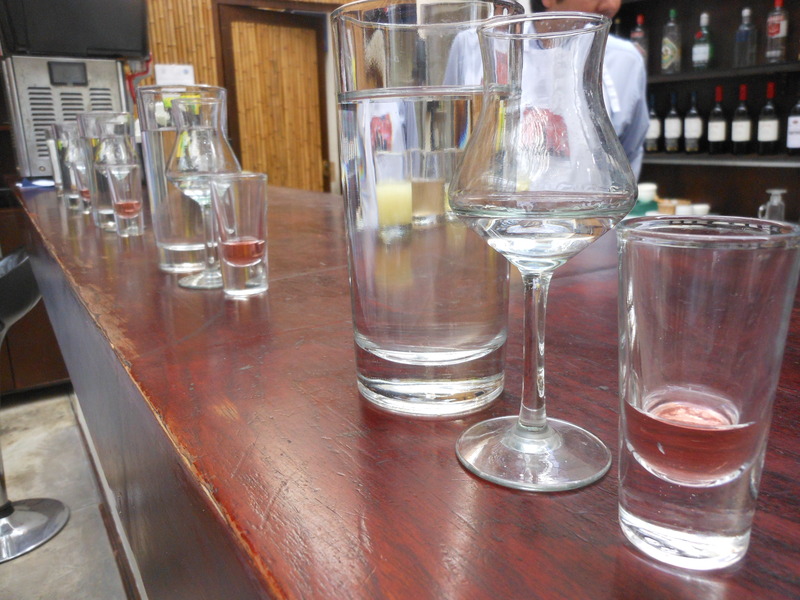 The glass on the right is slightly colored as it is a berry-infused version of pisco. The middle glass is straight pisco and is quite delicious. The taste is similar in strength to vodka and only after two belts, my vision began to distort just as much as if I was looking through a glass filled with pisco. Then we made ceviche and I bit into the rocoto again. That’s what pisco does to your memory.